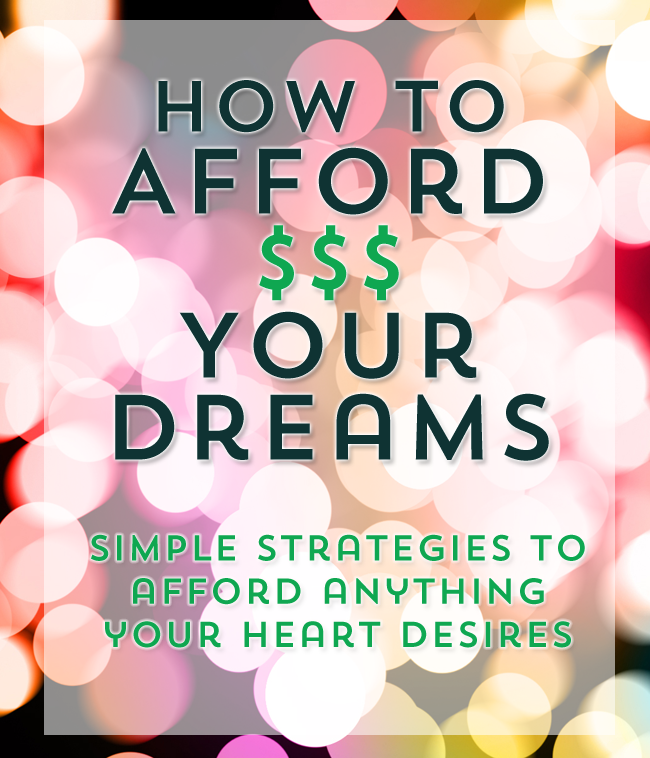 Dreams, it seems, are what make the “frugal” truly “beautiful.” Without dreams, and a reason behind our budget savvy ways, frugality seems miserly- it’s just not fun! At times, your dreams may take on different forms. 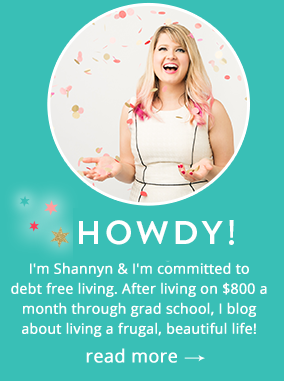 At times, for me, my big dream was to pay off my student loan debt. Then, it was to save $20,000 in a year. Dreams sometimes are utilitarian, or simply about that wonderful feeling of freedom we’d have from accomplishing a goal, but the more dreams you have, the better they get! Right now, I’m saving for my dream of traveling and taking a few weeks to travel throughout Japan. When I was a little girl, living in a rough situation at home out in the boonies, I would often bury myself in anything Japanese I could find at the local library or while cruising the lightning fast internet speeds of good ol’ AOL and the delightful sounds of dial-up. Years later, it seems I still get giddy about Japan. My favorite food is still sushi, and I will forever and ever love Sailor Moon- she was such a hero to an eleven year old girl! I’m now 28 years old, and it’s time to realize and put into action, my dream of going to Japan…but how to fund it? If you have a big, soul stirring dream- whether it’s to start your own business, buy your first home, take a vacation or save up to have your first baby- it might seem daunting to figure out how to pay for it. Fear not, I’ve got some tips for you! Out of all of my advice to you- this is the most straightforward. You need to calculate the cost of your dream. Then you need to set a date as to when this will become a reality. Starting today, how much do you have to save each month to make it a reality within the time allotted? This information will be your road map. It’s totally okay if you don’t know how much, down to the penny, you’ll need to fund your own business or quit a job you hate, but a guesstimate is a good starting point. The goal in the early stages is simply to be aware, to dream and to BEGIN. Are you a spender, or a saver? Knowing your skills or your weaknesses is key to starting to fund your dream strategically. If you’re a saver by nature, good for you! If you’re a spender- could you be smarter about where you money is going? Could you challenge yourself to go 30 days without buying anything that isn’t essential to life- meaning food, medicine, shelter? Knowing your money personality can really help you avoid temptation, play to your strengths or find area of improvement to focus on. This fun spending personality quiz from Allstate is quick and does the trick! You can read all of the advice in the world on how to be more disciplined with your money, but knowing your behavior patterns is key. When I was working hard to save to pay off my student loans, I avoided going to Target for two months- I just knew it would trigger some serious impulse shopping, and instead, after two months of good behavior, I would reward myself with a trip (with a budget in mind of course!). Saving for something big, even if it’s a super compelling dream that stirs your soul, is not something that may have come naturally to you in the past. Like building healthy habits to get fit or lose weight, or simply learning how to stop a habit like smoking- saving is something that requires good habits, and support from others. To stay motivated on my savings goals in the past, I regularly read personal finance books & blogs to educate myself about money. Some of my favorite books were I Will Teach You To Be Rich and You’re So Money – which are geared for a younger crowd & really help you stay motivated without getting overwhelmed! Reading books and blogs has kept me inspired many times, when the goals seemed so far away or the process was overwhelming. Be sure enlist the help of family & friends to help you avoid spending triggers, or to hold you accountable for your savings goals. When you feel less than stellar, pick up a good finance book or one that relates to your goal (this week I picked up a book on Japanese culture- I won’t be going to Japan for awhile, but keeping my motivation high to save for it is key in the long haul). If you’re more of a visual person, you can fill up your Pinterest boards with images related to your goal… I set up a Travel Lust Pinterest board, it keeps me inspired! One of the tips I see over and over again in blog posts, and I would concur on my blog, is that you need to shave down recurring monthly expenses, but I’d also add that you need to treat your life like a lean startup…keep costs down and earnings as high as possible. If you don’t need it, get rid of it or cancel it. Things that cost you money or mental space are only distracting you from your goal, purge and make space in your life for your big dream. Going through closets, canceling any subscriptions or expenses you don’t need, or getting a cheaper cost of living will make room in your life for the dream you’re yearning for. After you have some more brain space, you need to start earning more money! Women seem to gloss over this point- but EARNING more can really make the most difference in the least amount of time, but it scares most of us. When was the last time you asked for a raise? Seriously. Ask for more. Most women don’t ask, thinking that their time will come, though it never does. If really not a good time to ask for a raise (I mean, really, don’t just shrivel out of it!) then see if you can start hustling on the side for some earnings- even if it’s through a weekend project or being a virtual assistant, you can earn some cash. This year, I’ve cut back on my subscriptions- invested in few pieces to make a frugal home “gym” instead of a pricey public gym and I am taking on any side hustle projects I can to write or manage to earn money towards the Japan fund! If you had one piece of advice to take away from my experience- is that you must treat savings like a bill and pay yourself first (and the Allstate Blog concurs in their article about saving money)! If you set up an automatic withdrawal from your checking account to a savings account to go through on payday each money- perhaps like you do with your cellphone or electric bills, you will assure that your goals always get paid for! Even if you can only contribute $5 a week or $20 a paycheck- you have to set a minimum threshold of contribution that you will regularly put towards your goal and come hell or high water, you will fund your goals! At times, when money was tight and times were lean, I could only put $50 away a month towards saving up for a car- but each month, I was $50 closer and it kept me from feeling powerless. To put this into practice, I put away any side hustle income towards my goal, and put $50 of each paycheck into the fund, so that’s about $100 a month. Currently, I have $800.32 saved for Japan- every bit helps and it feels so good to make progress consistently each month. Well I’m going to watch Sailor Moon the rest of the day now. Japan is such a unique travel goal! Funding your dreams is definitely more well done when act as if it is a reality. Great tips! I’m all about using books, podcasts, images, whatever to stay motivated. Some people think it’s repetitive, I think of it as daily doses of drive. I like that idea! It’s so easy to lose motivation, we have to do whatever works for us. I like the idea of treating savings like a bill. It’s simply paying yourself, for all the hard work you’ve done.